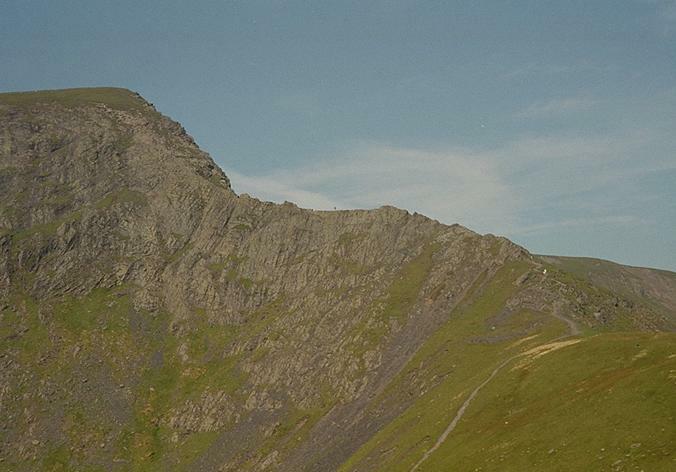 A solitary walker can be see atop Sharp Edge at the mid-point. Despite appearances this is not a point at which exposure is nerve-wracking. That position is to the left of the walker, just after the pinnacle in the ridge. Once that awkward spot is negotiated there is a relatively simple scramble up Foule Crag, which is not up the profile, but the more gentle slope in front of it. Smaller version of this picture.